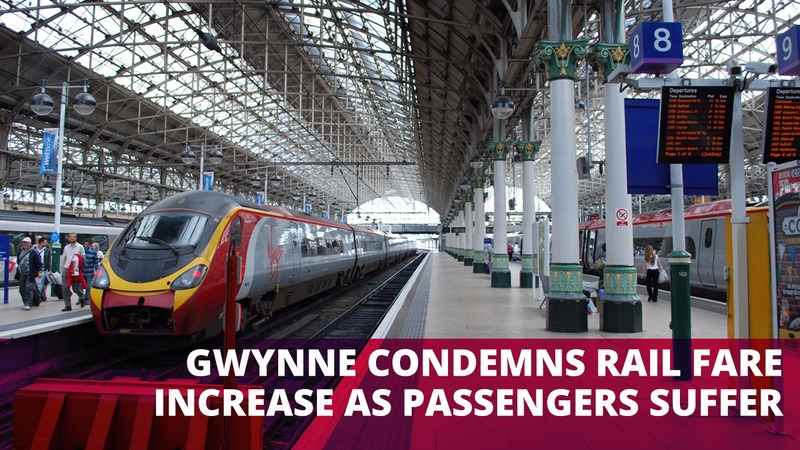 Denton and Reddish MP, Andrew Gwynne, says the latest rail fare increases announced this week will see people in his constituency “hundreds of pounds worse off”. Rain fares in Britain will go up by an average of 3.4% from 2 January, the biggest increase in rail fares since 2013. The rises will cover regulated fares, which includes season tickets, and unregulated fares, such as off-peak leisure tickets. The price hike comes on top of a number of operator-led increases in recent months. In May this year, Northern Rail increased some of its unregulated fares by nearly ten per cent – the third such rise in nine months. After the announcement it was confirmed that a season ticket between Manchester and Stokport is set to rise by £31 with a season ticket between Manchester and Ashton Under Lyne set to rise by £31 also. Rail fares have already increased twice as much as wages since 2010, according to new research conducted by the Office for National Statistics. “Since 2010 rail prices have kept going up, yet services have failed to meet demand right across the country. “For many people travelling by train isn’t a luxury – it’s how they get to work every day.